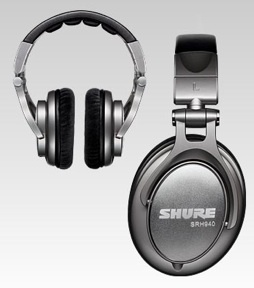 **Shure has been making really good headphones for a couple of years. I own the closed-back SRH840 and use it quite a bit for listening to portable 24-bit players, as well as various home recording studio and audiophile playback devices. However, Shure has significantly upped the accuracy in its new SRH940 flagship headphone. **Priced at a very reasonable $375 retail ($299 on the street), the SRH940 is Shure’s top-of-the-line headphone and sports premium touches, including audiophile-quality, detachable coiled cable, an extra straight, non-coiled cable, replacement airpads and a handy carrying case. Designed for professional audio engineers, SRH940 is also ideal for audiophiles who desire a headphone that provides accurate response across the entire audio spectrum with smooth high-end extension and — unlike most headphones today — a tight bass. **The made-in-China SRH940 sports 40-mm neodymium drivers, open-back design with polycarbonate frames, and soft, user-replaceable ear pads. The headphone, minus the cable, weights in at light 11 Oz. Factory specs are 5 Hz to 30 kHz, no tolerance listed; sensitivity is rated at 100 dB at 1 mW at 1 kHz; impedance is 42 ohms at 1 kHz. **The SRH940 feels light enough, and its adjustable arms make it easy to accommodate different head sizes. The pad’s ear pressure is light and isolation is decent for a closed-back design; this makes them a good choice for pros who work in noisy environments. I did hear a little outside-the-earcup mechanical noise from the ear-piece hinges when moving my head about, but that is typical of headphones with the solid bands and ear-cup hinges. With the head motionless, it is mechanically quiet. **Shure has equipped the SRH940 with such niceties as the extra ear pads, the extra cord the 1/8-inch-to-1/4-inch adaptor and the carrying case. All in all, a nice package and a lot lower in price than I thought it would be. **I sampled the SRH940 with several sources that output 24-bit audio, including an Oppo BDP-95 universal player connected to my Benchmark DAC1 Pre DAC/headphone amp, Sony PCM-D1 handheld 24-bit Flash recorder/player, TASCAM DR-100 handheld Flash recorder/player, Audio by Van Alstine EC tube/FET preamp headphone amp, Rogue Audio Model 99 tube preamp headphone amp and an 1990s-era USA-made Mackie 1402 analog mixer. 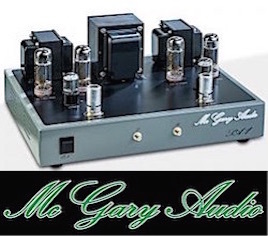 Intra-component connection was made via Alpha-Core Goertz solid-silver interconnects, and all components were fed AC through Essential Sound Products Essence power cables and power strip to keep the juice extra clean. **All sources were 24-bit and included prerecorded DVD-As, SACDS, hi-res downloads from HD Tracks, and personal recordings of stereo acoustic and jazz guitar mixes. For comparison, I listened to AKG K702 open-back phones ($799 list), the SRH940‘s little brother, Shure SRH840, Sony’s venerable MDR-7509, and some older Ultrasones. The Shure SRH940 delivers a refreshing shot of bass clarity in the thumpity-thump world of today’s pop music. **I first listened to "Out On The Weekend," the first cut from the DVD-A 24/96 version of Neil Young - Harvest. The Oppo ’95 fed the 24-bit audio to the Benchmark DAC1 Pre. The intro of the acoustic guitar, bass and drums in 24-bit offers clean, transient detail and slight bits of reverb out on the edges of the drum beat. Good speakers and headphones transmit these sonics with subtle precision, The SRH940 did as well, conveying an openness in the top-end that allowed me to hear those subtle audio cues. Hence, the image was detailed and wide. I can see why the pros would use this headphone to accurately check their mixes and for full-up headphone monitoring. Also, I quickly noticed from the outset of the test that the Shure has tuned this headphone for bass accuracy with a much tighter, focused midbass versus many popular ‘phones available today. **I played a number of other cuts of acoustic music, especially guitar and string-based bluegrass and country music. 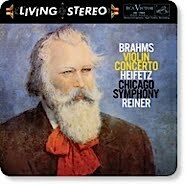 The delivered sound always had the focus on the detail; I could hear things clearly that other headphones mask in their enhanced midbass or midrange. 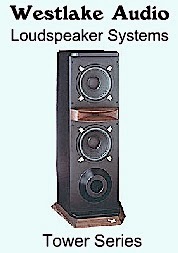 The accuracy and clean transparency also made for extensive, enjoyable listening sessions on jazz and classical genres. Violin and cello tones were especially good. **Moving on to midbass-heavy pop music, the Shure’s bass tightness actually enhances the headphone listening experience on this kind of music. 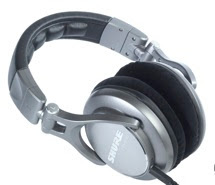 Most headphones today, tune the headphones to have extra dBs of midbass in the 120 to 200 Hz region. And when you play music that has been EQ’d and enhanced in those frequencies through the aforementioned bass-emphasized headphones, the sound becomes bloated and muddy, losing clarity and diminishing midrange and treble. The Shure SRH940 delivers a refreshing shot of bass clarity in the thumpity-thump world of today’s pop music. On some music, old 60s and 70s pop, I did notice that midbass was a little too lean, but overall, I still prefer the 940‘s tightened-up bass to a headphone that pumps up the low-end too much. 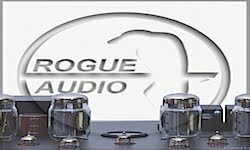 **Versus the Shure’s SRH840, the top-end and midrange were, generally, similar, but the SRH840 has a bit of enhanced bass boost and some midrange boost versus the '940. 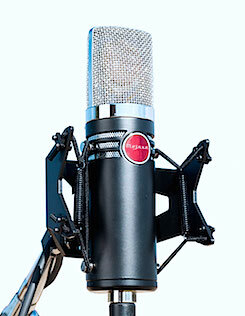 The AKG K702 has a similar top-end to the Shure, but with just a tinge more midbass and image width. The AKG also is a bigger headphone with a very cushy ride on the ears, but it costs way more than double the Shure SRH940. **These aforementioned sonic characteristics held through all the sources that powered the SRH940. The handheld players, of course, offered a bit less detail than the high-end rack sources and standalone DACs, but I was pleased how my TASCAM DR-100 and Sony PCM-D1 portables mated with the SRH940. In fact, I used the headphone numerous times when making live acoustic guitar recordings with these handhelds. **As mentioned, my only quibbles were the mechanical noise I heard when moving my head and that bit of leanness in the midbass on some music, like big band and jazz and older pop. Otherwise, this headphone is spot on. **I really like the new Shure SRH940; the headphone offers a much-welcomed tight bass, airy top-end and wide, detailed soundstage — coupled with a comfortable wear factor. For picky audiophiles and studio pros who like their audio (especially the bass) on the accurate side of the boom scale, the SRH940 is just right. **Combine its performance with a nice set of accessories and an under $300 street price and you got yourself a winner! 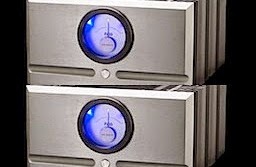 The SRH-940 certainly gets an Everything Audio Network Stellar Sound Award in my book.